Psychedelic folk poet Joe Hunt sneaks up on you. When this St. Paul native takes the stage, his humble Minnesota charm surrenders to the musical force within him. Out pours a rush of serious guitar virtuosity, lyrical profundities, and dramatic vocal dynamics as he rolls through a compelling mix of well-crafted originals and thoughtful, deep-track covers. Bob Dylan meets Dr. Dog meets Andrew Bird meets Charlie Parr. 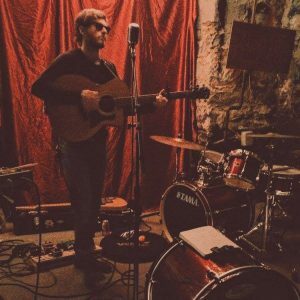 Check out Joe Hunt’s EP, Three Walls, on BandCamp (https://joehuntmusic.bandcamp.com/releases).